There are many different ways for a supplier to answer a Request for Quote. The lowest price may not always be the most complete analysis of the overall process. A higher than expected price however, may actually be the most comprehensive and accurate quote for a full range of services. It may also be the one that best fits your long-term needs. After confirming that a non-disclosure agreement is in place, the typical RFQ always includes the product part number(s), annual usage estimates, CAD drawing & material/part/packaging specs, whether the product requires a clean room, and whether the project just involves medical injection molding or if it also includes assembly, decorating and/or specialty packaging prior to final boxing. So after firming up your project requirements, you offer RFQ’s to some of your manufacturing partners as well as some other prospective associates. Before long, the quotes arrive and they are analyzed for compliance with your original terms. Perhaps you find two competitors who seem to be close in their quotes for services. Now it is time to drill down further to see if you can find the best solution for your needs. At this point you want to ensure that their technical capabilities & expertise match your project requirements and that you have found a true partner to help move you forward. Finally, a source is chosen to provide the product, and your team has chosen the supplier based on the lowest price. All seems well for some time. The sample submissions meet your specifications, the product testing shows full compliance with your needs, and all applicable government regulations are met. You are ready to move forward with production. Components roll into your facility and are ready for their final processes before the product is shipped to your customers. Everything works as projected and it appears that everyone is happy. This seems to be the case until your company begins receiving invoices from the supplier, and then the smiles begin to fade. There is a discrepancy between the quote and the invoices. Obviously there is some concern. The explanation is that while the quote for the component is accurate, the invoice includes such things as development costs, tooling or molding charges, a “price increase” for raw material post-quote, or even the purchase of new equipment for the supplier. What happened? While this may be a case of “bait and switch”, it’s also possible that it’s the result of not comparing apples to apples. It turns out that the supplier chosen had an original quote that was for the actual component only, EXCLUSIVE of other costs. 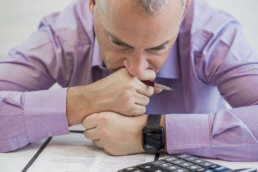 The potential partner that was rejected as being too high is contacted and now recognized for having included all of their expected costs up front in the quote. That explains the difference and unfortunately you are now stuck in a contract that costs your company much more than anticipated. How can this situation be avoided? Some suppliers will tell you it’s simply the cost of doing business and that you should anticipate “extra” costs if you are not specific enough in your RFQ. But you can’t seem to shake the feeling that it is really the supplier who may have acted a bit unethically. Trust, honesty and transparency are vitally important in partnerships. It is even more important when your business includes life-saving or life-sustaining technology in the medical device industry. Injection molded medical devices and device components are becoming more and more prevalent in hospitals,doctor’s offices and for in-home use. From disinfectant-compatible housings to implantable components, the technology advances rapidly. Along those same lines, your RFQ needs to keep pace with rapid industry changes. Not only should the requirements be detailed as early on as possible, but they also need to include expectations of each process, from development through to production. Only then can you be sure that you are making accurate comparisons and avoiding unpleasant surprises. At Polymer Conversions, we want to make sure that you are getting the most in-depth and accurate quote possible. 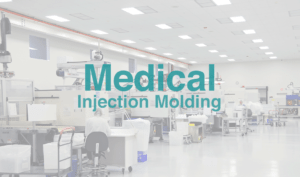 When we anticipate producing an injection molded medical device or device component, our quote to you is complete. There are no hidden costs, no “bait and switch”, and no unethical intentions. We make sure that we start risk assessment & mitigation right from the RFQ stage. Our staff will ask a multitude of questions and we tend to take our time because we have a cross-functional team that will think of every possible resource & process that will touch their department and what it will take for their team to provide the highest quality of service possible. All of that data then gets compiled and reviewed to ensure we meet and exceed the customers’ expectations for world-class products & services. As a family-owned company, our reputation is everything to us. We have a highly trained and dedicated staff ready to fulfill your requirements from design enhancements, to tool-making, to complete medical device fulfillment, our team is at your disposal. To start a conversation with us about your next exciting project, contact Mr. Ben Harp by phone or email: bharp@polymerconversions.com / 716-662-8550 x-504 today. Choosing the right material in the earliest stages of research & development can make all the difference in beating your competitors to market. Prolonging the materials selection process can later lead to increased project costs, development delays and manufacturing setbacks. And let’s face it - the race for 501k approvals can be brutal. With the right team at your side every step of the way, it can help make t his process more expedient and bearable. When choosing a material for the development of your medical product, there are many factors that play into the decision making. A great medical device injection molding company should ask you an exorbitant amount of questions during the R&D process. 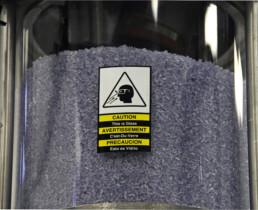 Topics involving regulatory concerns, device classification, ideal cost per pound range, characteristics of the product, how it’s handled by the end user and how it gets cleaned. 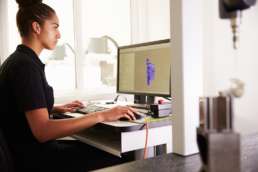 There should be questions surrounding the design tolerances and whether they can be simplified for a lower overall project cost by focusing on design for manufacturability & functionality. Questions regarding strength, durability, wear-resistance, extreme heat or cold tolerance, or whether it needs to be waterproof or water/chemical/body fluid resistant, will all help to determine whether the original resin needs to have an additive like a glass or mineral powder filler, a UV stabilizer, or one of many other products that can be added to a virgin, medical grade polymers to enhance the material’s properties. Thinking ahead to a post molding consideration is whether or not the product gets printed, has labels applied, and gets assembled, glued or welded together. Some materials perform better than others depending on the post-molding processes necessary. Sometimes you’ll need to discuss biocompatibility (if the product is implantable). You may also have to consider whether the product needs to be anti-static, static dissipative, or have EMI/RFI shielding properties. Will you want your manufacturer to add colored concentrate to natural resin at the press and risk having some parts produced slightly off color if the screw, barrel or concentrate delivery system does not work properly, or would you rather spend a little more by having the material supplier compound them together to create a customer color matched material that comes pre-colored to avoid variances during manufacturing? You’ll need to contemplate aesthetic features that the final product should have in order for the best overall results and end-user experience, rather than letting a marketing department decide how the device should look as it’s coming out of the package. Texture, grip, fingerprint resistance, etc. all need to be discussed ahead of time because it will make a difference in which materials are looked at and whether or not the tool cavities need to be textured for the right effect or material release. Many products that are used in a hospital or doctor’s office where fluid may be present, get what is known as an “over-molded” process that adds a layer of grip and slip-resistant thermoplastic elastomer (TPE) on top of the molded product. That too should be decided early on, so that the process can be done simultaneously to the medical device injection molding stage. For parts that need to be flexible, the differences between using a TPE or Silicone needs to be addressed. 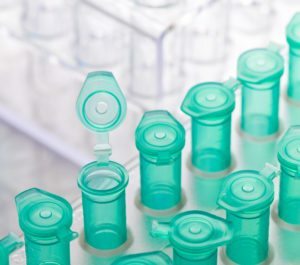 Silicone has become a popular choice for some medical components and it lends itself well to sterilization, which is another process that must be determined up front. Does the final product/packaging need sterilization, and if so, by what method? Finally, there is the question of which resin supplier? It should be a reputable company with a proven history of providing quality, medical-grade polymers that has acceptable lead times, great on-time delivery performance, price breaks at quantities that make sense for the customer, and that has a proven record of being flexible and working with the customer to provide a true win-win partnership. No resin on the planet can ever be the right one, without first honing in on the best product design. Even more important than the plastic it’s made from, the product design can be critical to a life or death situation with the user. This means, no one usually gets the design right the first time. The design often evolves through several iterations as material flow modeling shows how the material reacts with the design (shrink, warp & cooling rates of the material during the injection molding process), how well all the components fit together for assembly, and ultimately how the final product will function out in the field. Your product’s success is partly dependent on working with a medical device injection molding partner that excels in the plastics industry and maintains superior skillsets in design, materials selection, clean room manufacturing, assembly, decorating and packaging techniques. Did you know that the Polymer Conversions team has incredible breadth of knowledge in medical device injection molding materials? Did you know that our C.O.O. came to us from the resin industry and brings materials science expertise to the table? Each of our project engineers are well versed in highly engineered thermoplastic resins, design for manufacturability and metal to plastic design conversions. Our team understands the suppliers’ pricing structures, the quality & characteristics of plastic resins, and how the global markets for gas and oil can affect the plastics industry. We maintain an excellent partnership with world-class resin suppliers, and where appropriate, we’ll actually bring the supplier in for our design meeting with the customer. The customer then gets two sets of materials experts in the room to help them with their choice, giving them the satisfaction of knowing they made the right decision early on. To sit down with our team and discuss materials selection for your next big project, contact our C.O.O., Mr. Ben Harp, at 716-662-8550 x-504 or email: sales@polymerconversions.com. So you start out your day by brushing up with the latest business developments. As the company shifts the division to the larger facility, approximately 500 current workers would be affected in areas of fabrication, assembly, warehouse and plant administration. Some employees at the middle management level could be offered transfers to oversee the production move. Other employees may be able to move to different U.S. or global operations. Company officials believe there will be less movement with that division’s sales, engineering and customer service employees. “We understand that this decision will have a large impact on some of our employees, their families, and the community. However, we have committed to treating our departing employees respectfully and will ensure a smooth transition,” stated Vice President for Human Resources Candide Official. Mr. Executive also stated that this move should be accomplished in less than a year since retrofitting of the offshore facility is nearly complete. He noted that the majority of the relocation and related expenses will occur before the next corporate annual meeting, scheduled for June 2017. Corporate officials expect that the increased financial gains anticipated due to this move will be seen by stockholders via increased stock value in late 2017. So that’s how you find out that your supplier is moving their production division out of the U.S. - on a business news website. You’re confused and somewhat concerned. While that article states that there will be no disruption to future orders, you’re not so sure. Some of your company’s staff has visited the current manufacturing facility numerous times over the years and they have gotten to know many members of the production team. This change probably means that a number of them will lose their jobs or possibly relocate. Will the employees at the offshore facility take the same care or will there be problems and delays? It’s certainly hard to know at this point. As you re-read the article a statement jumps out at you, “continued profitability given current and future rates of production.” And then another, “increased financial gains anticipated due to this move will be seen by stockholders via increased stock value”. That all sounds like they expect to continue their current pricing structure. This move isn’t intended to reduce prices to their customers but to make more profit. It might seem logical to think that if their costs are going down, your costs probably should as well. That doesn’t look to be the case. This situation is all too common in today’s business world. A company moves their production to a more “business friendly” state or even out of the country altogether. This type of situation often has unforeseen ripple effects through the company that is moving as well as among the customers of that company. Quality control issues, production delays, and shipping problems are only some of the effects that could occur. All of those factors and more could change your own company’s profitability projections. What does this all mean to you? That is really the bottom line. First of all, you should be evaluating your medical device injection molding suppliers regularly. Develop a matrix that you can use to determine that your supplier is still meeting your increasing needs. This could include measurables such as production turnaround time, supply chain considerations, and quality control as well as supplier responsiveness and flexibility to your ever changing needs. Second, it is always good to consider, or project, your company’s future needs compared to the trends you may see in how your supplier does business. Try to gauge the direction of this ongoing relationship. 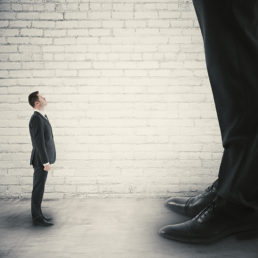 How do you know that your supplier may be too big to fit your needs going forward? Some of the signs could be that the relationship no longer provides mutual benefits, or that your calls are not returned in a timely manner, or that your point of contact is always changing; leaving you to constantly reiterate your program needs. It might be that your supplier moves too far away and it causes transportation and delivery delays. 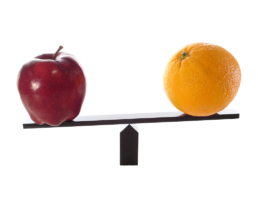 It all boils down to this question; do you want the biggest supplier that originally offered you the lowest price to win your business, or the best long-term partner? No matter how you make the determination, there comes a time when you decide that your supplier is too big or is just no longer fulfilling your needs. When that occurs, think about Polymer Conversions to supply your tools, thermoplastic & silicone medical device injection molding, assembly, decorating and packaging. We’re big enough to do the job right the first time and small enough to respond quickly when you need us. We’ve been here for over 37 years and will continue to be here to serve and support your company’s growth agenda and our community. You’ll get the same cross-functional support team with every project you send our way, and will never have to worry about the future or quality of relationships being built. Contact Mr. Ben Harp at bharp@polymerconversions.com/(716) 662-8550 to open a dialogue about what you truly need and how we can help you meet and exceed those well-deserved expectations. Is it Time to Break Up with Your Medical Device Supplier? The whole relationship started out so easily. You had what Hollywood calls a “meet cute” near the coffee table at a medical device trade show. At lunch the next day you found out that both of your companies had a number of commonalities within the industry. You made arrangements to discuss moving forward over dinner. By the last day of the show, you both felt you were ready to take things to the next level. At the beginning, everything was easy. You were each trying hard to please the other. Little expressions of compatibility were shared. The relationship blossomed. Soon, you both thought you were ready for the next step; a long-term exclusive contract. This commitment was serious. Over time, however, you and your supplier both seemed to drift apart. They started missing a deadline here and there. Nothing serious, we all make mistakes. Soon some of the products became out of spec and they slipped through QC. 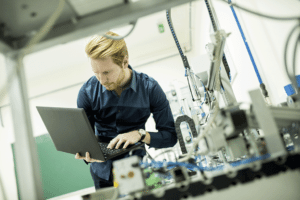 Before you knew it, you found yourself looking longingly at other medical device injection molding companies for a true partnership potential. You just needed more. You have a few surreptitious meetings with “the others” but you feel guilty and break things off before it goes too far. You’re looking for something new but it feels disloyal somehow. You feel like you’re stuck and there’s no way out. You’re at a dead end. Business relationships can sometimes be compared to interpersonal relationships. Every business union follows an arc and some of those unions are destined for a breakup. Just like in life, it’s usually not a specific fault or failing, sometimes two businesses just grow at different rates. Perhaps your product line has shifted, or you’re branching into new markets. Sometimes your supplier is acquired or goes out of business. No matter how you get to this point, sometimes you just need to grow in a different direction. In a perfect business world it should be easy enough to obtain a “business divorce”. Perhaps all you need to do is have a frank conversation. It is possible to have an amicable parting of ways. If both parties agree, it should be relatively easy to mutually end the association and/or contract. Of course there are other, more protracted and painful, ways to accomplish this. But hopefully you won’t need to go that route. Now it’s on to finding a new medical device injection molding partner. That could be as easy as asking for new quotes from suppliers you have already spoken with about meeting your needs. Or it may involve a little research to find the right partner. Either way it can be a fresh start. And it can reinvigorate your business. Polymer Conversions can be the medical device injection molding extension of your business. We provide world-class quality and highly technical contract manufacturing solutions for medical devices and other precision thermoplastic & silicone products. You benefit from the full-service processes of tight-tolerance tooling, molding, assembly, decorating and packaging of Class 7 (10,000) and Class 8 (100,000) medical device/healthcare products. You also have access to our advanced engineering team who are specialists in our industry and can partner with your team to help solve difficult issues. They can assist with design for manufacturability, metal to plastic part conversions, materials selection, streamlining the manufacturing process, and part/process validations. For those of you looking for customized medical device injection molding, perhaps it is time for you to check out Polymer Conversions. With more than 37 years of evolving experience, you’ll get the proactivity, flexibility and the customer service you deserve. If you have specific questions, please contact Mr. Benjamin Harp at 716-662-8550 ext. 504 / bharp@polymerconversions.com for prompt attention to your needs. We’re here to help your business and innovative medical device portfolio grow. Let’s talk about a partnership with real long-term potential! Medical Device Design & Development is critical to the advancements of true patient care excellence. Photograph provided by: Wendy Bertsch, Polymer Conversions, Inc.
How does Polymer Conversions achieve world-class medical contract manufacturing? 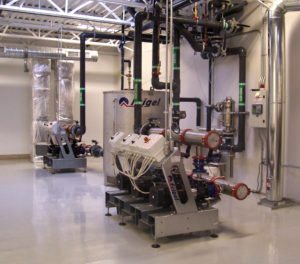 One advantage, is our use of a Frigel Microgel Closed-Loop Cooling System during the injection molding process. Medical Device OEM’s demand incredibly high quality and industry- best practices from those supplying critical manufacturing services. Polymer expects to keep up with those demands by investing in the technology that our experienced team knows will bring the best results. That’s where the Frigel partnership comes in. Polymer Conversions only purchases brand new, world-class equipment. We also validate that machinery prior to first use. Bringing this new system online helped us replace an aging, outdoor cooling tower and provided us with more consistent water temperatures for mold and part cooling. It also helped us achieve optimal cycle times and less limescale buildup in water lines at each press. An added bonus – it leaves a much smaller environmental impact on our community, and lends itself to a more efficient preventative maintenance program. Anyone who’s worked with Polymer, knows that we take great care in keeping all of our equipment and the facility in an “as new” condition. This system helps us stay on task with those goals. Did you know that Polymer Conversions & SILIKON Technologies will be exhibiting with top global Drug Development and Delivery device innovators? Connect with us; we'd love the opportunity to discuss your product portfolios and learn where your corporate goals are planning to take you for 2016 and beyond.....give us the opportunity to show that we can be the long-term, full-service medical injection molder that helps you get there! "Drug Development & Delivery’s Innovation Networking Summit connects technology and service innovators/providers with R&D, pre-formulation, formulation development, business development, product life-cycle management, and corporate management professionals from the Pharmaceutical and Biotechnology industries." As a silver sponsor we will be located in the main entrance hall with the other Life Science companies listed below. The letter speaks to the difficulties of attaining new employees that are already highly skilled in our industry. There is a noticeable lack of trade-schools and programs throughout the country due to budget cuts, and that seriously hurts high-tech manufacturing companies such as Polymer Conversions, Inc. The other piece of the puzzle is improving the skill levels of current employees, by creating training programs that compliment the latest changes happening in our industry. The MAPP (Manufacturers Association for Plastics Processors) organization hopes to collectively pool feedback from its members, in order to create a resource for all to use, to identify areas of improvement within their organization. 37 Years of Injection Molding Excellence! March 5, 2016 marks 37 years of Injection Molding Excellence, for Full-Service Medical Injection Molder, Polymer Conversions, Inc. Without our dedicated and hard working employees, committed long-term customers, high quality suppliers and our support system of family/friends/community, Polymer might have had to close several years ago like so many other family-owned small businesses in America. Thankfully, here we stand, stronger than ever and excited for future endeavors. We hope that you will continue to work side-by-side with our PCI family as we look forward to the journey ahead. May 2016 bring you all good health, prosperity, cherished moments and lots of laughter! Polymer Conversions, a contract manufacturer for medical injection molding , always has a recurring theme when customers come for their first visit. Clients are always highly impressed with the cleanliness of the facility on a day-to-day basis; they enjoy the family-friendly nature of the entire PCI team and its culture; the experience and dedication brought to the table from a cross-functional and customer-centric management team is second to none; and the amount of detail and attention Polymer places on design, functionality and overall manufacturability of the product(s) being discussed is as much of a priority for them, as it is for the customer. Quoting (“apples-to-apples”): Many contract manufacturers skip the time and detail necessary to put into quoting a job properly with the customer’s best, long-term interest in mind. For years, Polymer’s team has seen companies choose the quote with the lowest price, which often means the customer isn’t receiving all the facts surrounding the investment that was just made. They will likely see add-on fees or increases in other areas earlier in the relationship than expected so that the supplier can attempt to make up for dollars lost quoting low to secure that job. Service: More than 40% of the work in-house at Polymer Conversions is from medical injection molding programs being transferred in. Much of this is due to a customer receiving unsatisfactory service, inferior quality or a lack of honesty and transparency from their previous supplier. Polymer’s approach is more about considering the customer’s entire manufacturing process and honing in on how PCI can partner with the company as an extension of their business rather than becoming just a “supplier” of components, assemblies, and complete devices. Pooling resources and working together through constant communication and collaboration during the entire partnership, allows Polymer’s team to lower the customer’s risk considerably. Sadly, there are many contract manufacturers that won’t bother going this extra mile for a customer because there are costs involved. Validated Manufacturing: Many medical injection molders do not use a validated system for process or product control during manufacturing. This leaves a high level of risk for the customer to manage. At Polymer Conversions, they use a Real-Time, Fully Validated Product & Process monitoring system that is networked to all 23+ injection molding presses, and is continuously backed up through a cloud-based and secure server off-site. This allows customers to have instant records of the conditions and environments under which all injection molded products were manufactured. It also ensures batch repeatability and reproducibility for world-class quality and service, which the customer both expects and deserves. Safety & Cleanliness: Most injection molding machines and auxiliary equipment come with basic safety features, which seems to be enough for most other contract manufacturers. 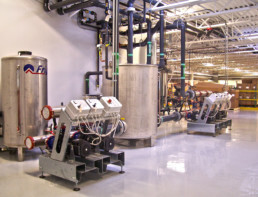 Polymer, on the other hand, goes above and beyond to install additional guarding and safety components once the equipment arrives in their facility. Not only are their employees incredibly safe throughout the plant, but customers and guests also have the highest level of safety and comfort while touring through each department.Cleanliness is second nature to Polymer teammates. Keeping the facility and its equipment in “as new” condition and providing a clean, neat and safe work environment throughout, is mandated by ownership. All employees are trained on cleanliness expectations when hired, and are encouraged to foster this environment the entire length of their employment.A large percentage of medical injection molding companies still do their manufacturing in old, antiquated buildings that are dirty, unorganized and house abused equipment. These are the suppliers that usually offer cheaper pricing on quotes because they are not re-investing in their facility, equipment, a skilled workforce, or the processes used to create the customers’ products. Precision, cleanliness, quality and high-tech solutions are not attainable under such conditions, which is why Polymer Conversions chooses to purchase brand new pieces of equipment, and fully validate them prior to being used against a customer’s purchase order. Skilled Labor: Manufacturing environments are well known for high turnover workforce rates. It seems the larger a company becomes, the less focus and attention is paid to its “people” because they are too preoccupied with creating profits for shareholders and top management.Polymer believes in the exact opposite. Slow, controlled growth with a focus on a family environment and its people, have been two of the highlighted strategies from the owners. Hiring skilled employees can be difficult, but Polymer has proven they can, and do, secure some of the best. Turnover in their organization is very low, with an average of 13½ years for employment length (and that does not count the earlier years of employment from people that had left for other experiences and come back).Operating with a “family” atmosphere helps workers feel appreciated and important, especially considering they spend a majority of their waking hours at work, and away from their families. Longevity of employment contributes to a larger company-wide skill set. It also helps provide an environment for cross-training, continuing education, and movement for the employees within the organization. This may cost more in overhead, but Polymer believes that that investment is critical to its growth and success. Global pressures from the medical and pharmaceutical industries will continue to tighten from the top down, which makes focus in each of these five areas so important. It is crucial, especially for small businesses, to keep true to their missions, visions, goals and ideals. A full-service medical injection molding company like Polymer Conversions, should never lose sight of the most important parts of a business; parts that are necessary to help its customers be highly successful by keeping them at the forefront of technology, and in front of their competition.